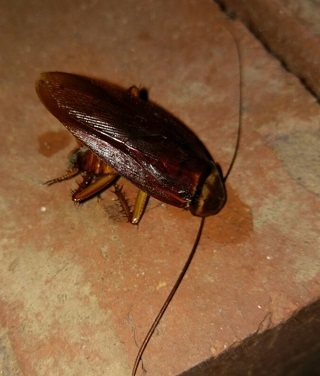 Is your not-so-friendly neighbourhood cockroach paying a visit to your house? Is your coffee machine a new home to the roaches? Do you find yourself constantly playing hide and seek with a cockroach? Do you often hear your child scream, "Papa! Roach!!!"? The truth is, every one's a hero until they see a cockroach strolling around the area and why not? Without cockroach control Melbourne These disgusting pests are extremely resilient and can live up to 3 months without food. 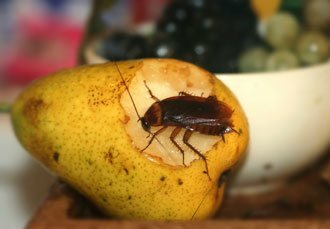 So even if you ensure that food in your house is protected and kept away, once a cockroach gets into your home, chances are their going to be there for a while. That is, unless you have cockroach pest control Melbourne. What's worse is that they are very fond of dark and damp places to make a home of. Hence they are hard to get a hold off on your own. In order to ensure their complete removal, it is ideal to call for professional inspection and treatment. However, if you're choosing to self-inspect how bad the condition is first, always remember to make sure to check water sources and leaky pipes - these are prime sites for a cockroach to build a home. Cockroaches are carriers of a host of diseases which puts your family's health at risk. They can also cause allergic reactions and is the health nuisance you really don't want to have at home! So why wouldn't you want to get rid of them at the earliest? Of course you would, right? So to start with here are some signs you've got roaches at home! Roaches are indeed a pest to every home. Some of us even have a phobia of these creepy crawlies and get absolutely terrified if we spot one. Oh but wait - what of the times when you don't spot them until very long? Even worse - what if they manage to be sly enough and continue to breed in your home and one fine day you walk into the kitchen to discover an entire army of them? Sounds scary right? Well don't be scared and definitely not uninformed. Here are the main signs of their activity in your home. Since they are feeding in your home, you will surely spot their droppings if you look carefully. Their droppings look just like pepper. Sometimes the droppings are larger in size and can be around 2mm with ridges on the sides and blunt ends. Look closely and you will find casts of cockroaches. This is a sign of an infestation. During their lifespan, roaches cast off their skeleton or outer body. When lead to a food source that is accessible, they nibble at the food. They then vomit back on the food spoiling it completely. Most of us are easily disgusted by looking at them. However, not all of them are pests. Yes, you read right! Most of the kinds found in Melbourne are native species. If you do find them in your home it is only because they are hunting for food or water and have wandered in during the hunt. With the exception of these, the other varieties truly are a nuisance and threaten your health and the sanitation of your home. The small reddish colored ones creep into corners which are difficult to reach into. They then hide there and breed themselves. In such cases, do contact us! We offer two ways to target the problem. This not only eradicates the infestation problem but also ensures that your health is not compromised upon. These include glue boards, pheromone traps, and cryonite to control the infestation from further breeding. In addition we also advise you to observe good hygiene with regular housekeeping practices to keep your house sanitized. This kind of treatment includes getting rid of them through sprays, dust, pyrethrum gas and gels, and insect growth regulators. We also keep monitoring the situation to take immediate action in case we see signs of the infestation returning. Ok now arises another important question - what happens once you're done with treatment for cockroach control? Basically, with few measures from your side and our guarantee you actually can maintain the existing cockroach-free paradise. Why you NEED to get rid of cockroaches? Cockroaches can leave you feeling uncomfortable and disgusted in your own home. We constantly hear that roaches can transmit diseases, but have you wondered what might these diseases be? Coming in contact with them means exposing yourself to diseases like salmonella, dysentery, and gastroenteritis. What's more they leave traces of these diseases all over your home as they walk through it. Did you know exposure to them can cause children to grow up to become adults with grave health issues? Oh yeah, roach droppings are responsible for causing childhood asthma. After reading this, in addition to taking action against an infestation, you sure might want to do everything in your power to keep them out of your home. Store food in tightly sealed containers so that they can't get to them. 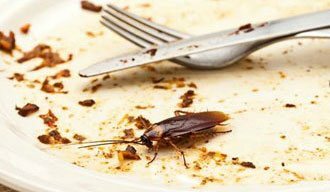 Cover your garbage can with a lid so that these pests do not loiter in and out of the bin carrying bacteria all over your kitchen and home. Sanitize your kitchen regularly to maintain hygiene levels. Housekeeping practices like vacuum cleaning help clean out the cracks, crevices, and difficult corners. This makes it difficult for them to live there in peace. Repair water leaks and plumbing issues immediately as this will keep the humidity and moisture levels in check. Seal off entry points near kitchen cabinets, sinks, etc with cement, mesh, or putty. This helps prevent them from getting in. And now for the final icing on the cake - in spite of taking all these precautions it would be best to call in one of our professionals to check your home. 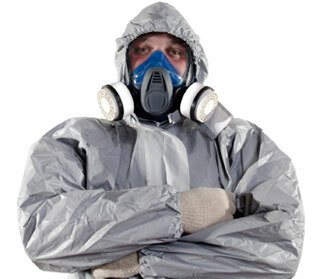 At Protech Pest Control, we promise you really can trust us because every one of our personnel is certified and trained on how to approach the infestation problem in your home. Wondering how we go about it? After a thorough inspection, we give you a detailed explanation of how bad the infestation is. Oh, and not just that, we even identify the 'type' of cockroach so we can devise an even stronger plan for their eradication. After that we tell you what solution we plan to implement and then go ahead with the same. And there, it's all taken care of, as easy as that! Finally, let's address that concern hiding at the back on your mind in telling you that yes, it is possible for the treatment to be 100% effective and 100% safe. Our products are effective and eradicate the problem while keeping the health of you and your family, foremost. Oh and before you get about to calling us here's one last but important reminder - it hardly ever happens but just in case the problem returns, we do not leave you in the lurch but offer our services for free! How can I tell if I have a cockroach infestation in my home? Cockroaches leave behind evidence. If you spot their droppings, smear marks, casts, cockroach eggs, or an unusual odor you can be sure of an infestation. Kitchens, laundry roof voids, and basements are areas you might actually spot them. How many types of cockroaches can be found in Australia? Australia has quite a few species like the German cockroach, Oriental cockroach, American cockroach, Brown Banded Cockroach, Australian Cockroach, and Smoky Brown Cockroach. You can find more information on them in the section titled Know your Cockroaches on our page. Yes some species which are stronger than others do fly. However, the commonly found ones like Oriental and German cockroaches do not fly. How do I prevent cockroaches from entering my home? The first step to keeping them at bay is to cut out their access to food and water. When they are starved they will automatically begin to search for a new home. How can I make my home cockroach-proof? You can purchase products from stores or make DIY's that deter them from entering your home. But professional treatment is what will get rid of an infestation. It will also prevent things from getting worse at your home or office. What treatments do professional services use? Professional services use treatments which are sprays, gel, baits and dusting powders. These are inserted in cracks and crevices which are most likely to house cockroaches. Can a cockroach bite me? Being omnivores, cockroaches eat anything that is edible. They aren't powerful enough to fight and so will attack only when you are asleep. Only the larger and stronger species could actually bite through your skin.